Last week, the Framers performed for 400 people at the Blanton Museum in Austin with Fast Forward Austin Music Festival. The show featured music by FFA co-founders Ian Dicke, Steven Snowden, and Robert Honstein (winner of the Frame Dance Composition Competition in 2014). 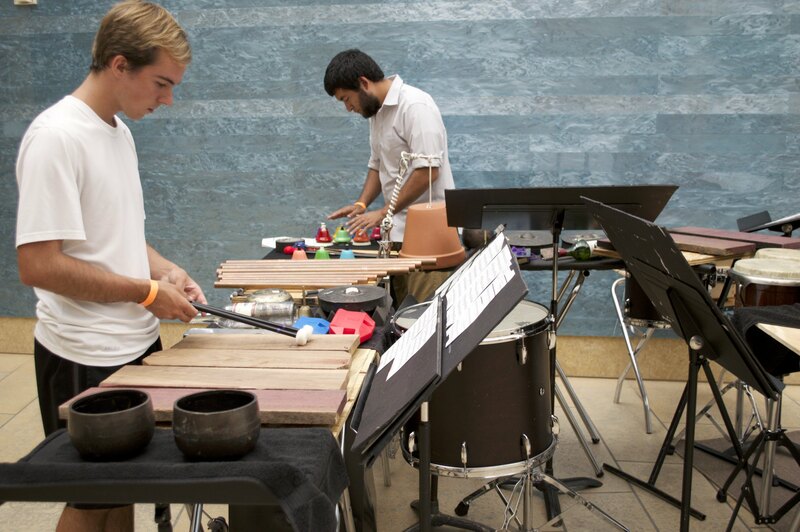 Frame Dance performed Honstein’s An Index of Possibility alongside Baylor Percussion Group. We love live music! Oct. 1, 2014. 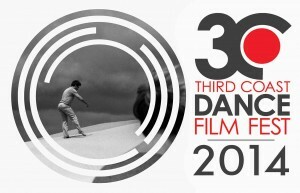 We co-curated the Third Coast Dance Film Festival which will be held at DiverseWorks free to the public. 6pm. NEW! 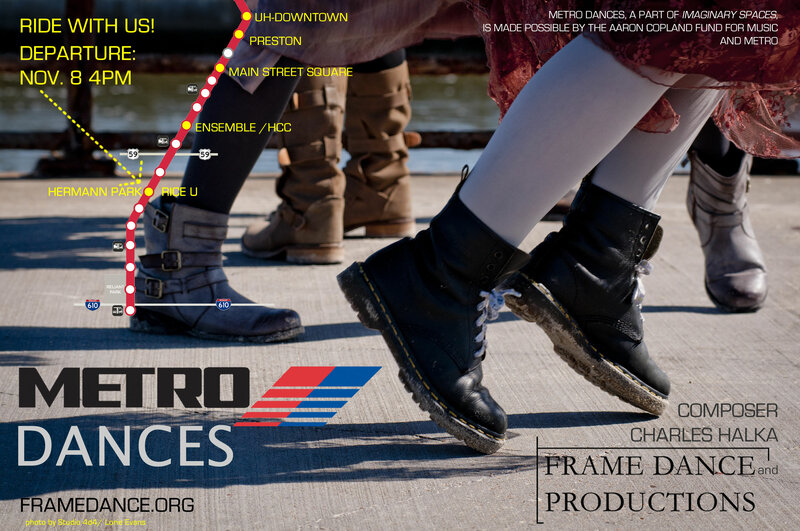 November 8, 2014 (Houston) Frame Dance premieres METRO DANCES for a stage in motion: the METRORail. 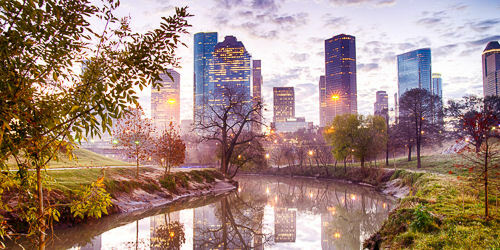 METRO DANCES will begin at the Hermann Park/Rice U METRORail Station and finish at the Preston stop with a final performance in Market Square. 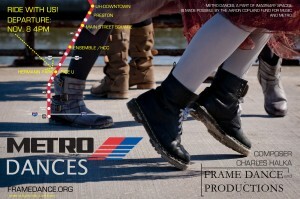 Audiences are invited to ride the rail with the dancers and musicians to see this performance on and off the light rail. 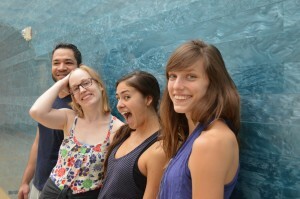 METRO DANCES will feature a new work for percussion by Charles Halka. METRO DANCES is made possible by support from the Aaron Copland Fund for Music and METRO. Oct. 3-4, 2014 (College Station) We perform Divide by Five in the Brazos Contemporary Dance Festival at Texas A&M University! 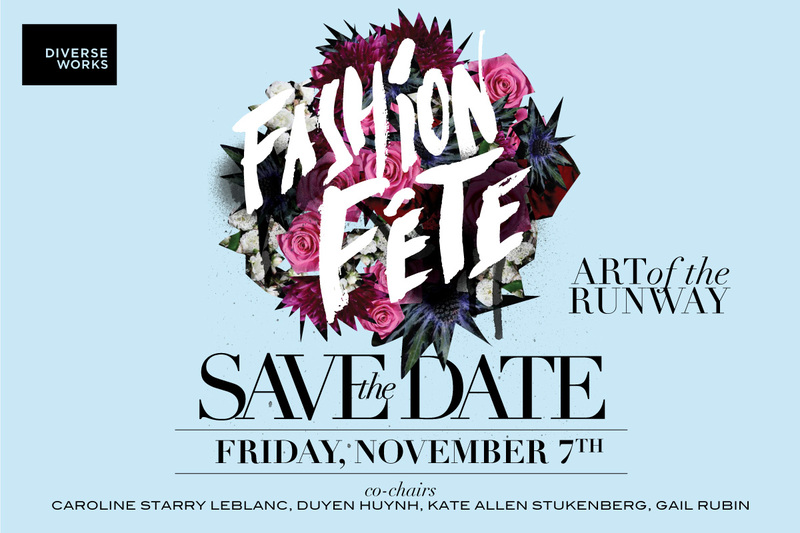 Nov. 7, 2014 (Houston) We are back on the runway with DiverseWorks’s Fashion Fete! 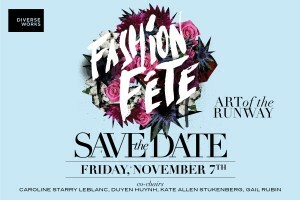 We created the dance for the fashion show last year, and we’re pumped to be back. And you know we love fashion. We hope to see you soon! 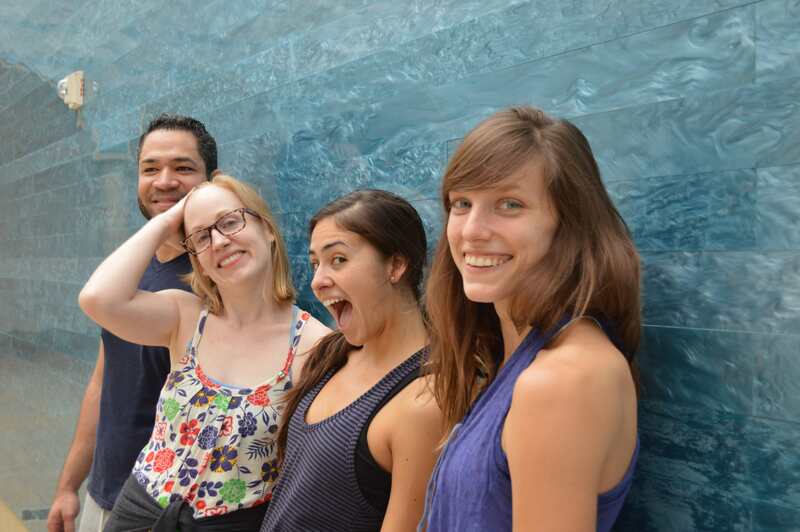 We’d love to have you in rehearsal too! Like to help? We will need some fabulous volunteers on November 8. (You’ll get a Framer shirt.) Contact us for the hook up.